Last week, the journal Vaccine published an article by the University of Sydney which confirms that there is no association between vaccines and autism or between vaccines and the autism spectrum disorder. Although this information is not new, scientists have known for a long time that there is no link between vaccines and autism, the study is notable as it examined seven sets of data involving more than 1.25 million children. It concluded that there was no evidence to support a relationship between vaccines for measles, mumps, rubella, diphtheria, tetanus, and whooping cough and the development of autism. To repeat (because honestly, we can’t repeat it enough), there is no link between the MMR and autism, between ADS and autism, or between any vaccine and autism. None. The belief that vaccines cause autism was introduced by British gastroenterologist Andrew Wakefield in 1998, when he published a paper that hypothesized that the measles, mumps and rubella vaccine could lead to autism. The paper has since been discredited (many times), and his research was found to be fraudulent. In 2011, pharmaceutical scientist Dr. Dennis Flaherty called Wakefield’s findings “the most damaging medical hoax of the last 100 years.” But despite these facts, Wakefield’s paper is still cited by writers in popular media, which forces scientists to continually refute these claims with more and more data. Five cohort studies involving 1,256,407 children and five case-control studies involving 9920 children were included in this analysis. There was no relationship between vaccination and ASD (OR: 0.91; 95% CI: 0.68 to 1.20). 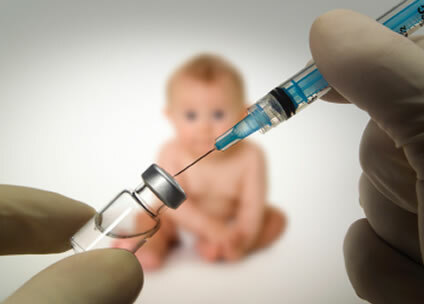 There was no relationship between vaccination and MMR (OR: 0.84; 95% CI: 0.70 to 1.01). There was no relationship between vaccination and thimerosal (OR: 1.00; 95% CI: 0.77 to 1.31). There was no relationship between vaccination and mercury (Hg) (OR: 1.00; 95% CI: 0.93 to 1.07). The paper’s senior author, Associate Professor Guy Eslick from the Sydney Medical School, explains his research by asserting, “I did this because it was really interesting to me that there is a mass of people against vaccination and there really wasn’t any information to support that. I want my research to elucidate the truth and find out what’s real.” Notably, Eslick is not biased in his research, as his review is simply an analysis of data–of the facts as they stand, since he is not an expert in vaccination or autism and his study was not funded by any drug company. Of course, as is true of all things, vaccines do harbor some risks. They can cause rashes or other allergic reactions, but such instances are exceedingly rare (far rarer than the number of people that contract these illnesses without vaccines). Ultimately, the important thing to remember is this: Vaccines save lives. For example, smallpox is one of the deadliest known diseases, plaguing humanity for thousands of years. Researchers believe that it first emerged in human populations around 10,000 BCE. Although the overall death toll is unknown, in the 20th century alone it killed over 300 million people. In 1967, the World Health Organization estimates that small pox killed an estimated 2 million people worldwide. And keep in mind, this is just one virus over the course of one year. Ultimately, the total number of people killed by viruses is simply staggering. Today, no one dies of smallpox. Not one person. It was eradicated by vaccination. The last natural occurring case was in 1977. As an epidemiologist I believe the data that is presented in this meta-analysis. However, as a parent of three children I have some understanding of the fears associated with reactions and effects of vaccines. My first two children have had febrile seizures after routine vaccinations, one of them a serious event. These events did not stop me from vaccinating my third child, however, I did take some proactive measures to reduce the risk of similar adverse effects. I vaccinated my child in the morning so that we were aware if [sic] any early adverse reaction during the day and I also gave my child a dose of paracetamol 30 min before the vaccination was given to reduce any fever that might develop after the injection. As a parent I know my children better than anyone and I equate their seizures to the effects of the vaccination by increasing their body temperature. For parents who do notice a significant change in their child’s cognitive function and behaviour after a vaccination I encourage you to report these events immediately to your family physician and to the ‘Vaccine Adverse Event Reporting System’.